Myanmar democracy activists called Monday on people across the world to boycott televised coverage of this summer’s Olympics in Beijing, in protest at China’s support for the ruling military junta. The 88 Generation Students group, which includes some of the country’s top pro-democracy leaders, also urged viewers against buying any merchandise linked to the Games. The Olympics are set to open on August 8, the 20th anniversary of a pro-democracy uprising led by students in Myanmar. The military, which has ruled the country formerly known as Burma since 1962, opened fire on the crowds, killing an estimated 3,000 people. Leaders of the uprising were handed lengthy prison sentences, but when released they formed the 88 Generation Student group. The group began new protests in August last year, harnessing public anger at a surprise hike in fuel prices that left many unable to afford even meagre bus fares to work. Many of the leaders were again arrested, but Buddhist monks took over the protest movement, which swelled into the biggest anti-government uprising since 1988. “China is a major trade partner, major arms supplier and major defender of the junta in the international arena,” it said. The group said that instead of supporting the regime, China should help to facilitate a national dialogue among the military and opposition leader Aung San Suu Kyi, who has spent 12 of the last 18 years under house arrest. The military last week announced that it had completed drafting a new constitution that it plans to bring to a referendum in May. 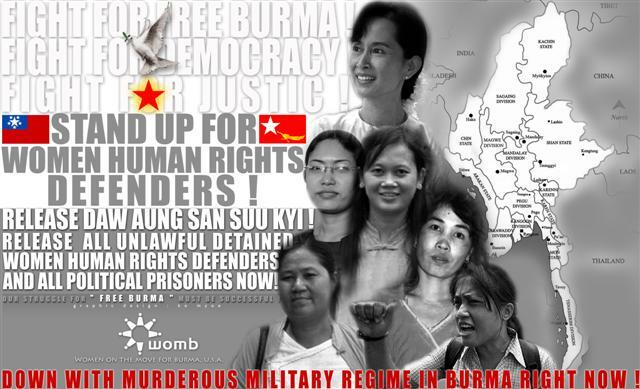 The document would bar Aung San Suu Kyi, a Nobel peace prize winner, from running in elections now slated for 2010. At least 30 journalists and 50 Internet users are currently detained in China. Some of them since the 1980s. The government blocks access to thousands for news websites. It jams the Chinese, Tibetan and Uyghur-language programmes of 10 international radio stations. After focusing on websites and chat forums, the authorities are now concentrating on blogs and video-sharing sites. China’s blog services incorporate all the filters that block keywords considered “subversive” by the censors. The law severely punishes “divulging state secrets,” “subversion” and “defamation” – charges that are regularly used to silence the most outspoken critics. Although the rules for foreign journalists have been relaxed, it is still impossible for the international media to employ Chinese journalists or to move about freely in Tibet and Xinjiang. 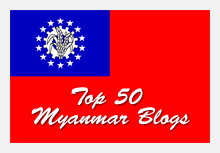 This blogger cut and pasted the original slogan ” British difficulty, is Burmese opportunity” which was a famous nationalist slogan during the British Colonial revolution. This blogger feels that the time is over due to start the campaign to boycott the Chinese Olympic as Chinese Communist Government has avoided its responsibility as a communist party to support the oppressed Burmese People against the Imperialist Military Junta. International community sees China as a new emerging superpower, which is able to play a pivotal role to solve the problem in country like North Korea and Sudan. Chinese Communist Government who has planned the Olympic , spent billions of Dollars for preparation, and for mega sports facilities for their up coming National Event. At the same time, Chinese communist authority must be very nervous for any negative effect towards the ” Chinese Olympic” which will be a prestigious event for the Modern China. This event will be remembered in the history of China as its legacy. 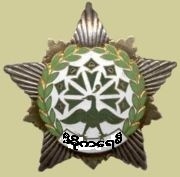 Since Chinese Communist Government has blind eyes and deaf ears towards the 50 Million Burmese people’s voice, we should make Chinese Communist Government difficult and Shameful for supporting the world’s worse regime ” Military Junta of Burma”. This is the auspicious time , to start a campaign for boycotting the Chinese Olympic. Southeast Asia consists of two geographic regions: the Asian mainland, and island arcs and archipelagoes to the east and southeast. The mainland section consists of Cambodia, Laos, Myanmar, Thailand and Vietnam; the population of which are primarily Tai peoples and Austroasiatic peoples; the dominant religion is Buddhism, followed by Islam. The maritime section consists of Brunei, East Timor, Indonesia, Malaysia, the Philippines and Singapore. Austronesian peoples predominate in this region; the dominant religion is Islam, followed by Christianity. 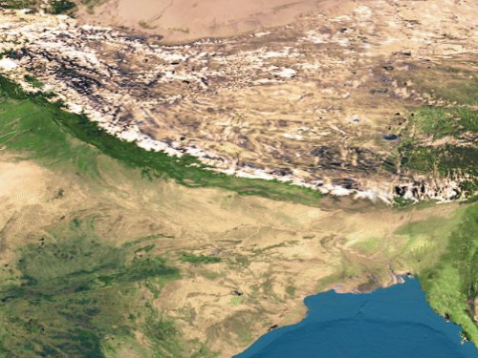 Southeast Asia frequently refers to the area consisting of the following, although in general and certain specific usage, the area it refers to can be narrower or broader. According to a recent Stanford genetic study, the Southeast Asian population is far from being homogeneous. Although primarily descendants of Austronesian, Tai, and Mon-Khmer-speaking immigrants who migrated from Southern China during the Bronze Age and Iron Age, there are overlays of Arab, Chinese, Indian, European, Polynesian and Melanesian genes. The Philippines has Asia’s largest Eurasian (mixed ancestry), American and Amerasian population, and is continuously growing. Note: I am trying to rewrite the history of Myanmar/Burma. Actually I had already done this indirectly in Burma Digest with the pseudonym, Bo Aung Din’s Compassionate letters to Nan, also known by some as Dear Nan letters. 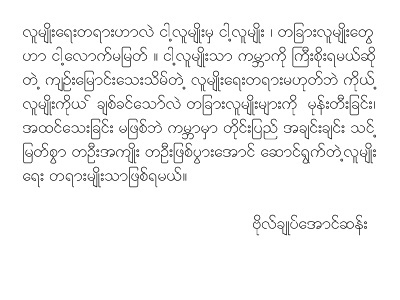 I hereby try to break those letters into separate articles representing the major ethnic races of Burma. 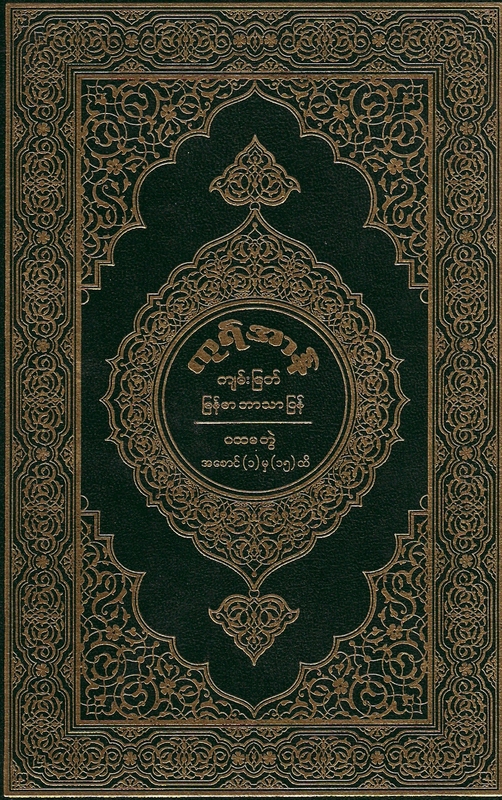 Readers should read my Evolution of Myanmar Muslims (and excerpts, extracted from Wiki Talk Page- Burmese Indians, put in as comments) , Islam in Myanmar, Burmese Indians, Panthays, General Aung San’s Acceptance of migrants as brethrens, Persecution of Muslims in Myanmar together with comments. Thank you for your surprised phone call early Sunday morning. It was not only a surprise for me; you were also surprised that I had already got out from bed early. Yes dear, only when you are away, I know more about your values and appreciate your daily house works which I am doing now. Actually I was surprised, because you had already read my latest letter that I just sent through Burma Digest this week. But I was shocked when you told me that you still love me, but could not trust me fully yet! You want me to answer three questions. Yes! three most important questions by a Shan woman for a Bama man to answer. Dear Nan, you already knew that I am fond of reading and I had learned a lot from the fables and fairy tales since I was young. I am used to various types of three wise questions and answers. Three tricky questions, three most important questions disguised in many forms from the numerous stories. And I already knew the answers to your three most important questions and even wish to reply instantly on the phone, but you requested for an official written reply in black and white on paper. 1. What are the basic facts about the Human Rights? What is the “Role of Minorities in Democracy”? How do we protect the minorities’ rights from tyranny of majority. 2. What do “Good Governance” means? Describe the basic principles. 3. What is the origin of Shan, Ethnic Minorities and Burma? That is the history or roots of our ancestors. Dear Nan, from your questions, I understand your untold hidden agenda to make a new deal, matrimonial or nuptial contract for our reunion. You wanted to make sure of my own concepts, understandings of our future reunion. I could understand your feelings of do not want to just follow the emotions to rush into a deal. You are right Nan, you must know whether I really understand, respect and value your companion. Love only is not enough; we must have mutual respect, meaningful discourse in future disagreements and after all my understanding in Human Rights, tolerance on different opinions is important for others. But don’t worry dear; Although I intend to start writing the answers to you as a serious official, history document, I now know that it will be very dull. So instead of answering your questions directly. I will try to switch to my lighter form of writing style to the answers for your question regarding the origin of Shan, Ethnic Minorities, Minority Religious groups, mixed blooded people, newest migrants and Burma or Myanmar history, may be rightly labled as the roots of our ancestors. Kindly allow me to answer using our village peoples’ migration format. It may be more appropriate and appeared informal as I am writing it to you, my love and my estranged wife. I like that article very much. It should become a book. We have to have clear views about what we are doing and how will we get that. We have to be clear what we are doing and assess our own progress. There should be a group or an umbrella organization which can play on the level ground with other competitor. A wise or wise leaders who can stimulate and direct the force effectively. There should be high moral standards and critical thinking. I am sure opposition has public support but need a charismatic leaders who can actually stimulate and lead the country. And a dream and a plan. It is inevitable that some change will happen sooner or later. The thing is are we going to dictate the future or are we letting other forces to dictate our future. The schemes in the article are very good. It should be made available to people in every corner of Burma. We are willing to create a democratic government so it is not so important who will be in government. Everybody will have a chance to try to involve in politics freely from that point onwards. It is also important how to protect our forces. if anyone stand on our side and failed, we should guarantee their security. Even with the enemies, we should give amnesty for them.